Superb Glass Partitions Leeds From Planing To Finish. JK Glass Partitions Leeds specializes in creating high-quality partitions for both homes and offices. We aim to satisfy our clients with the best services; thus, we use nothing but highest grade material to create impeccable glass partitions. 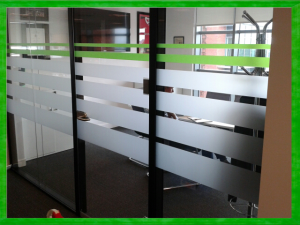 Glass partitions create a bright ambiance in the office or home where they are installed in. The reason is that light generally passes through the glass; thus, a bright atmosphere is created. This feature of glass partitions makes them more suitable for workplaces. The lively ambiance created by the glass partitions has a positive impact on the productivity of employees, which, in turn, proves to be beneficial for the company. 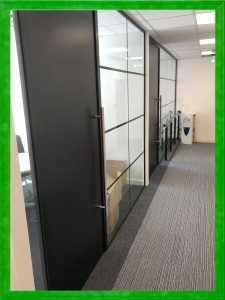 The major problem with other types of partitions is that they tend to give a room of a workplace a rather small or congested look. However, the same is not the case with glass partitions. They help to optimally utilize the space in an office or home. This is one of the major reasons why most of the offices in Leeds have glass partitions. They are also suitable for smaller workplaces since they can still look spacious despite being divided into small cubicle cabins created with the help of glass partitions. If a workplace is small with a higher number of employees working in it, noise level increases. The increased noise levels act as distractions and productivity of employees gets affected. The solution to this problem is glass office partitions. Even single glazed glass has the power to reduce noise levels. This feature also makes them suitable for offices. Glass partitions offer transparency. If installed in a workplace, it allows the supervisors to keep a check on their subordinates. This way, no employee would sit idly in their cabin as they will be aware of the fact that they are being watched by their supervisor. However, this is only possible if see-through glass partitions are installed. Another prominent advantage of glass partitions is that they help to reduce dependency on artificial lighting. Some types of partitions create a dark ambiance in a setting even when the sun is shining outside. With glass partitions, there is no such issue as the light passes through them. Therefore, during the daytime, there is no requirement to switch all the artificial lights in a home or office if glass partitions are installed. This reduced dependency on artificial lighting helps to lower electricity cost. This feature of glass partitions also makes them an eco-friendly option. Glass partitions are relatively easy to clean and maintain as compared to other types of partitions. All you require is to use a window cleaning solution to clean them. Cleaning on a regular basis can help them to retain their new-like look. One of the most compelling reasons to install glass partitions in your office or home is that they help it to have an appealing look. They exude elegance and class due to their graceful look. There are numerous types of glass partitions available. They are different in terms of their features; however, one thing is common among them and that is the appealing look they give. For more information or to book our services, feel free to contact us at 0113 347 0639.